CES2012 was both exhilarating and exhausting. It was literally bursting with all sorts of new gadgets and gizmos that made my head spin. During the few moments I was able to wander around I stumbled upon a small little booth that turned out to be a whole new line of tablet holders for kids to make playing apps, watching videos, or carrying around their tablet both cute and ergonomic at the same time. While this may be designed for kids, it's geared for adults as well. So without further ado, click on the jump to find out more about these Tablet Teddy Bears by Dean Designs. Dean Designs offers three different product lines that are made to fit any tablet, including the BlackBerry PlayBook, so that kids can play, store, and carry their tablet. 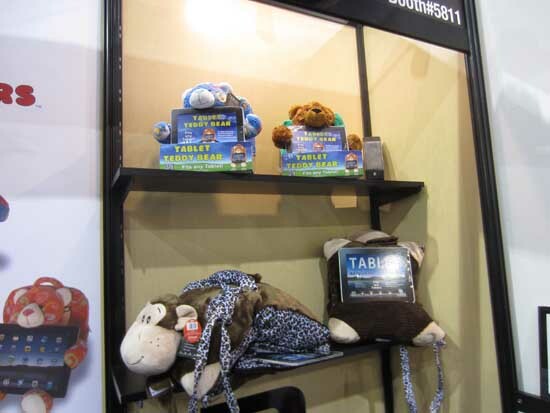 Created by a former Pediatric Therapist, they are designed to be hands free, therapeutic, comfortable, and fun. All of them come in different colors and styles and are adjustable with non-skid bottoms for comfort and portability. They are ideal for travelling, for kids to play with when not engaged with their device, and can be adjusted to fit either orientation. The Tablet Bean Bag is more for adults and helps eliminate neck pain and strain and promote better body positioning when using your tablet. 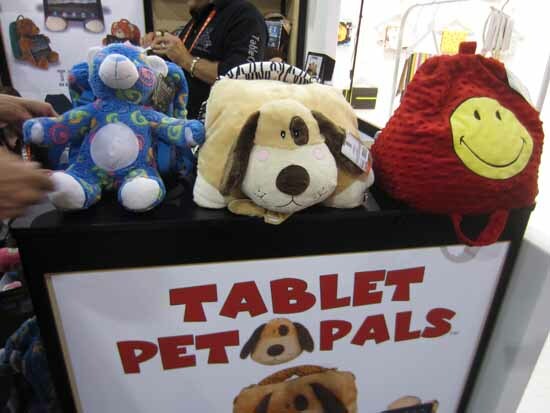 The Tablet Pet Pal can be used as a pillow when not acting as a stand. 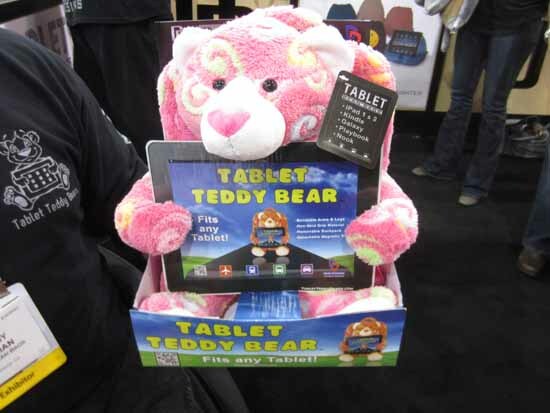 Finally, the Tablet Teddy Bear lets kids play with their Teddy Bear and includes a removable backpack to hold the tablet. Zippered pocket for ear phones, cell phones, ipods, etc. Ergonomically and weighted designed to sit up independently. Some of you out there may laugh but I think it's adorable for both kids and adults. I found them to be soft, cute, and functional. They are already available for purchase and prices range from $39.99 to $74.95.